Students prepared lessons for fall classes held at the Chrysler Museum of Art as part of their course research. Students enrolled in the ODU ARTE 305 class designed curriculum based on the big idea – – scapes. The lessons drew from gallery connections. Young students created meaning through sketchbook, dialogue and studio workshop. 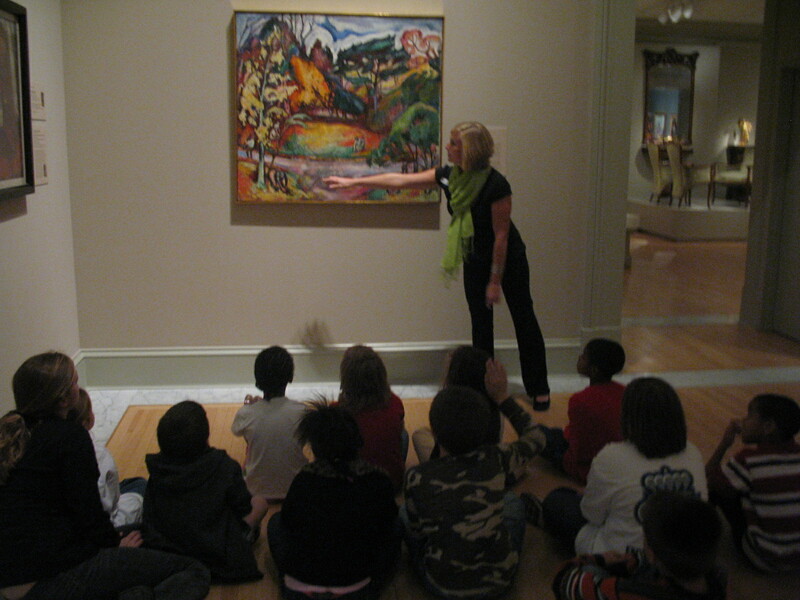 Photo (above): Jamie Mahoney successfully teaching in the gallery using “higher thinking” questions. 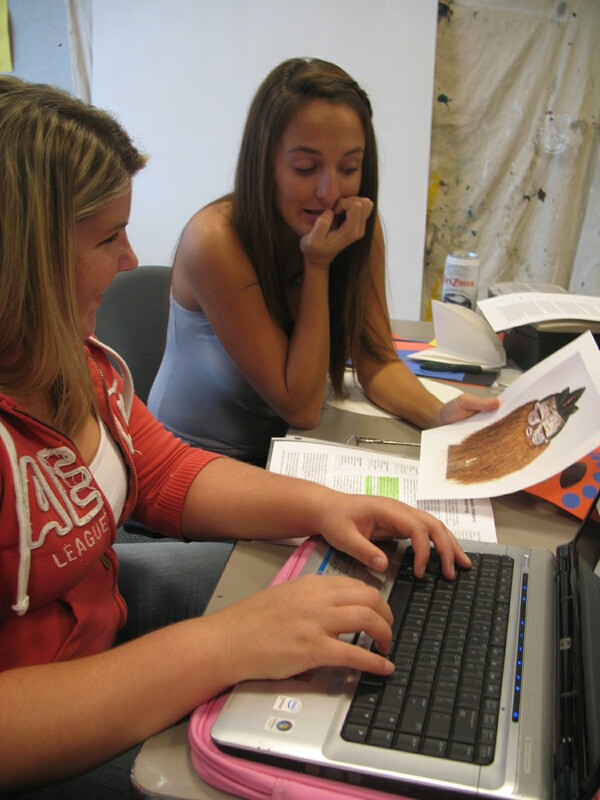 (above right) Kelley Anderson (left) and Charlotte Moore (right) planning for instruction based on African Masks. This entry was posted on October 13, 2008 at 1:31 am and is filed under Uncategorized. You can follow any responses to this entry through the RSS 2.0 feed. You can leave a response, or trackback from your own site.